The CRISPR/Cas genome editing system uses a RNA-guided endonuclease technology which allows for inducing indel mutations, specific sequence replacements or insertions and large deletions or genomic rearrangements at any desired location in the genome. In addition, this technology, can also be used to mediate up- or downregulation of specific endogenous genes or to alter histone modifications or DNA methylation. 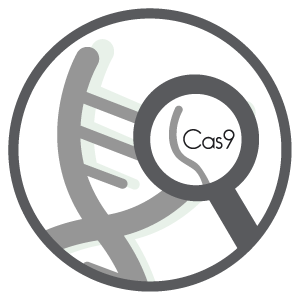 The best characterized CRISPR-associated nucleases are the Cas9 proteins from Streptococcus pyogenes and Staphylococcus aureus. Recently two new CRISPR-associated nucleases, named Cpf1 (from Lachnospiraceae bacterium and Acidaminococcus sp. ), have been described. Diagenode, a dedicated supplier of high quality Cas9 antibodies, was the first company that offered the antibody Cas9 (clone 7A9). 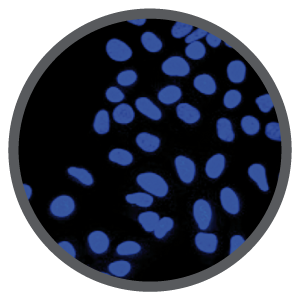 Diagenode now offers the largest collection of optimized anti-CRISPR/Cas antibodies, validated in a number of different applications including Western blot (WB), immunofluorescence (IF), immunoprecipitation (IP), and chromatin immunoprecipitation (ChIP). 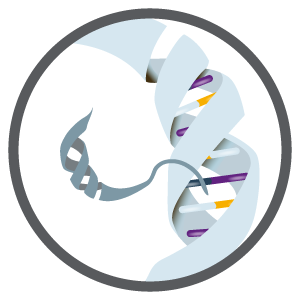 CRISPR/Cas9 genome editing allows for double-stranded DNA breaks at specific sequences to efficiently disrupt, excise, mutate, insert, or replace genes. The precision of transfection and the level of Cas9 expression should be controlled during the editing processes using specific anti-CRISPR/Cas9 antibodies. 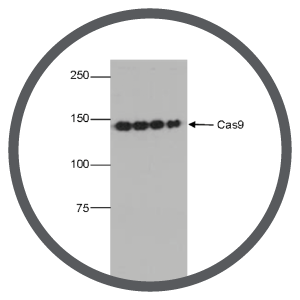 Check Cas9 expression level using Western blot with validated anti-Cas9 antibodies. Transient systems: Check that Cas9 expression was transient by using Western blot and anti-Cas9 antibodies. Prolonged Cas9 expression will lead to more off-target mutations. Stable transformants: Isolate several clones and screen to check the level of Cas9 expression using Western blot and specific anti-Cas9 antibodies. High level of Cas9 expression can lead to non-specific activity. Test the binding specificity with an sgRNA of choice by using the ChIP-grade anti-Cas9 antibody and the primers for targeted and non-targeted region to see if Cas9 is bound to the correct region. For more details go to the page Selection of guide RNA by ChIP. Diagenode offers the largest collection of validated anti-CRISPR/Cas antibodies, validated in different applications (WB, IF, IP and ChIP).